← Low T ads; boosting testosterone boils down to balance. 2013 has found me traveling hither and yon: first to NYC for an annual functional medicine conference, then to Sacramento to visit my husband Joe while he tackles a new career assignment, then on to Dallas for a gala and fun family wedding, and most recently to the big Island of Hawaii( I can still hear the tropical birds’ symphony in my dreams and almost feel the warm breezes and the scent of plumaria in the air…ahhh, heavenly!). Although I enjoyed ALL of my travels, my time in Hawaii with Joe and 2 of our closest friends truly was 10 days of relaxation, sunshine and attention to balanced living. Joe and I both vowed to leave work behind so that we could truly take in the aura of the island and adapt to the slowed down pace, savoring each moment of island living. 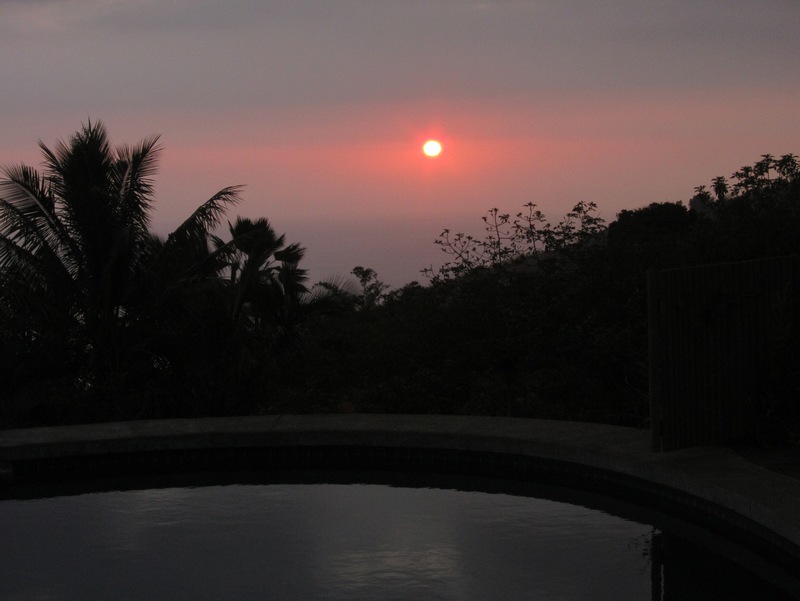 Due to the proximity to the equator, Hawaii has shorter daylight hours in the spring than we do in Oregon: sunrise at 6:15, sunset at 6:30 pm, so the rhythm of the day is quite different. People tend to get up with the sun(which definitely works for me!) and get a lot of living in during the daylight, but are often in bed tucked away snugly earlier than I am used to, often as early as 8:30 but certainly no later than 10:00 PM. I found myself getting almost 8 hours of sleep almost every night, which is quite different for me, as I am used to getting by with 6-7 hours of sleep most nights at home. It was lovely to adopt this rhythm and my body felt so nourished by all of the rest. As always after some time away from our normal routines, I came home determined to pay more attention to my resting hours. 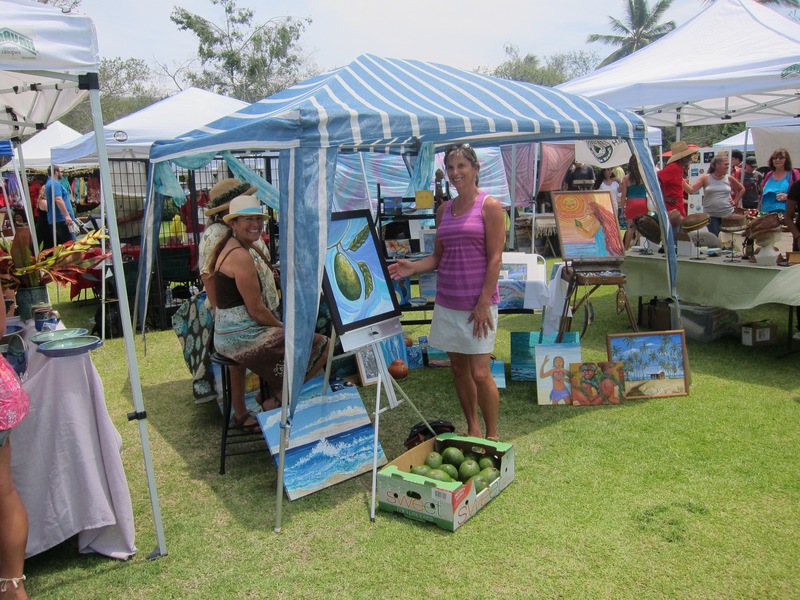 We also were surrounded by fresh, flavorful and abundant tropical produce. 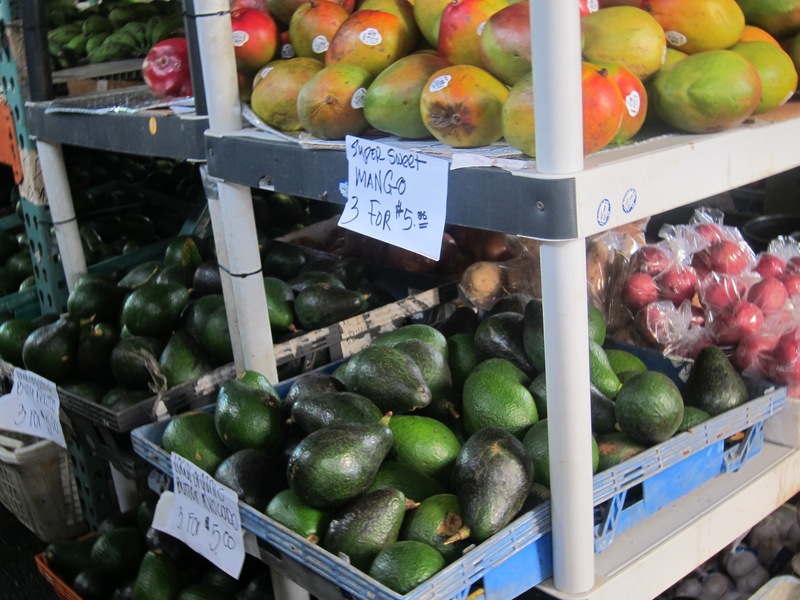 I have never seen such large avocadoes and papayas: they were HUGE!! and so affordable: at the farmers’ markets ripe and yummy papayas sell for 5 for $2(sometimes even less), so we ate a ‘rainbow’ of fruits and veggies at every meal. I even tried some blue sweet potato chips with guacamole. freshly made at a market: Wow, is all I have to say about that combination! 1. Cancer prevention: avocadoes contain certain compounds which help to not only identify but destroy cancer cells while sparing healthy ones and contain high levels of oleic acid, which can help to prevent breast cancer. 3. Help to lower cholesterol , as they are high in ‘beta-sitosterol’. One study demostrated a 17 % reduction in cholesterol levels after eating avocadoes daily for only one week! 4. High in folate, which protects against heart disease and strokes. In addition, avocado oil is amazing for your skin and hair and in South Africa, avocados are mashed, mixed with honey and lime, to use as a face mask and for after-sn’ treatment. One avocado contains more potassium than a banana as well as 2.5 grams of protein; all in all, one nutritiously packed ‘veggie fruit. Of course, now I am back in Oregon, the weather distinctly cooler…farmers markets still waiting to open(I guess that is not a problem in Hawaii, where the season seems to be perennial summer!). I have made a point of buying avocados, incorporating them into salads, shrimp tacos and guacamole. I would love to hear some of YOUR favorite ways to use avocados, some of YOUR favorite recipes for including these wonderful veggie-fruits into your diet. Please share your recipes with all of us! I know that in South America, avocado ice cream is quite popular: I have yet to try it but it sounds yummy. Oh, and back to whether avocados contain aphrodisiac qualities: apparently the jury is out on this, but one thing we DO know for sure: eating a whole foods based diet, exercising regularly, getting adequate sleep and managing your stress clearly all contribute to hormone balance, and in turn , this does support healthy sexual functioning. So don’t forget to eat some guacamole on a regular basis and share some of your favorite recipes with all of us. Add 1-2 minced garlic cloves , 1/2 chopped white onion, juice of 1-2 limes(I am a cook by feel and taste, can you tell???? ), 1/3 bunch of fresh chopped cilantro, 1 chopped jalapeno(without seeds is best), salt to taste. At this point, it is essential to taste it at least 3-4 times by dipping the best tortilla(or sweet potato) chips into it: adjust salt, lime, heat( you may even add a small amount of chopped chipotles ). Tasting is one of the best aspects of cooking! Serve with high quality chips, on top of an omelette, as a spread on sandwiches, with fish tacos: enjoy!!! And know that you are getting all kinds of wonderful nutritional benefits as well. Just as you were writing this blog Kyle I was chatting with my mothers housekeeper from El Salvador…Ana has been with us for 28 years and she doesn’t look a day older than when she started…I asked her to share her no wrinkles secret and guess what it is…AVOCADO…mashed with a little bit of olive oil and applied liberally to face, around the eyes, neck and throat…she leaves it on for 20 minutes then rinses off with warm water…Ana turns 60 this May and I swear she looks 45, so more power to the avocado and thank you for sharing all its health giving and beautifying properties with Menopausibilities readers….I spied some super glossy avocados in Moms kitchen just now…I think I know what is about to become of them!